I know, it’s been ages since you’ve heard from me! 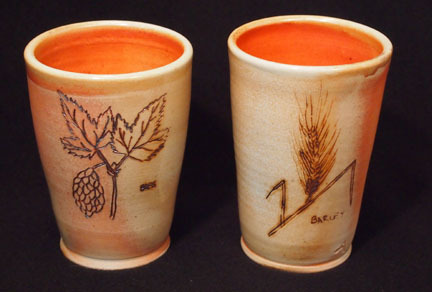 Lots has happened in the past several months — new ideas, new firings, and lots of new pots! Plus a new camera to better show them to you (I think it’s smarter than me). First — let me invite you to come see them in person at Maryhill Arts Festival next weekend. Next, I’m excited to show you the results of a new project! 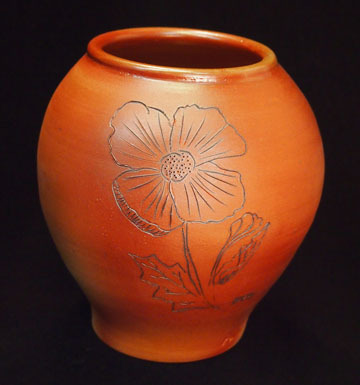 My talented mother drew some beautiful botanical drawings for me to carve on pottery. I fired them in Hiroshi Ogawa’s wood/soda kiln last month and they came out absolutely perfectly. 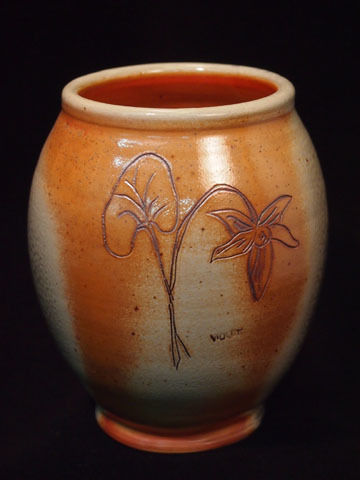 I’ll have lots of cups and beer steins at Maryhill next weekend and the vases will be displayed in White Salmon sometime in the next few months. The beer steins have hops on one side and barley on the other. These are two of the least soda-hit of the batch — some have an amazing amount of soda-gloss and carbon-trapping. They’re lovely, but the images got somewhat obscured on the most soda-covered. I’m also excited about these batter bowls. I like them for mixing up omelets and salad dressing, but the one on my counter is currently full of blueberries. 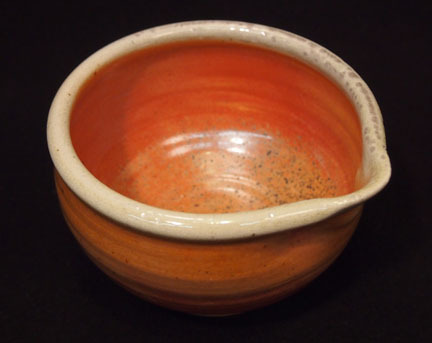 The beautiful dark brown clay of the blueberry bowl is another project I’m pretty excited about. The clay and glaze are both based on clay that I dug locally. I’m still working out the formula, (it doesn’t like to go past about cone 9-10 — at woodfire temperatures it has a tendency to bloat — that means it gets bubbly and lumpy looking), but when it gets what it wants, it’s beautifully rich and a tiny bit metallic. 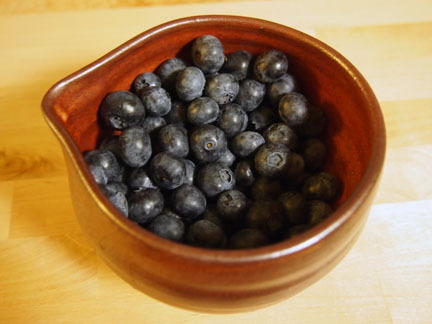 The blueberries are from the St. Johns Farmers’ Market and they’re every bit as good as they look! And a late addition — more blueberries (worried I might end up like Violet Beauregarde…). I made this set of plates for myself, much to the annoyance of my mom who has been asking for a set of plates for ages. Plates are not my forte. 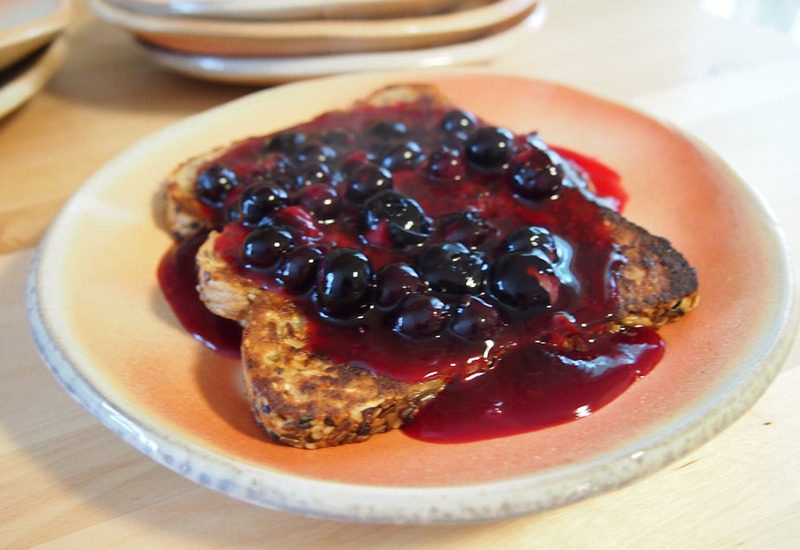 They’re no good in the cupboard (they stack terribly) but they’re just right for eating saucy french toast. Nice new photos & updated blog. Sorry to miss you at Maryhill, but not sorry to be in Iceland. Wish you were here!